This personalised mouse mat is sure to brighten up any desk or office! 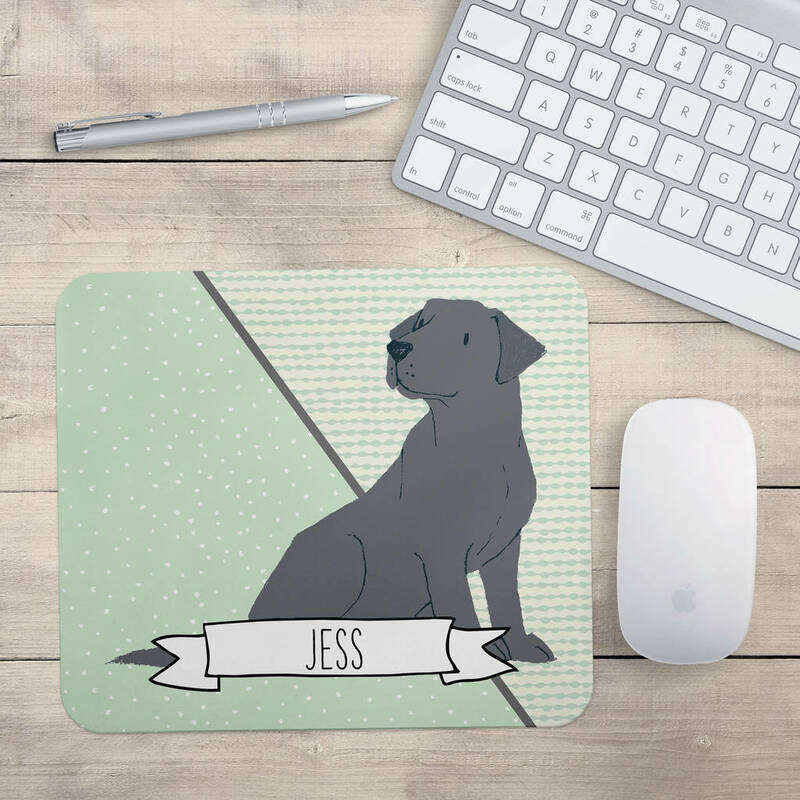 Featuring a hand drawn Labrador and personalised with the name of your choice. The mouse mat is made from 5mm thick rubber with a fabric top. Please note, the edges are unfinished. This is not classed as a flaw, just the nature of the product. 5mm thick black rubber with fabric top.